The top of each sink chest comes pre drilled for a standard three-piece faucet set. 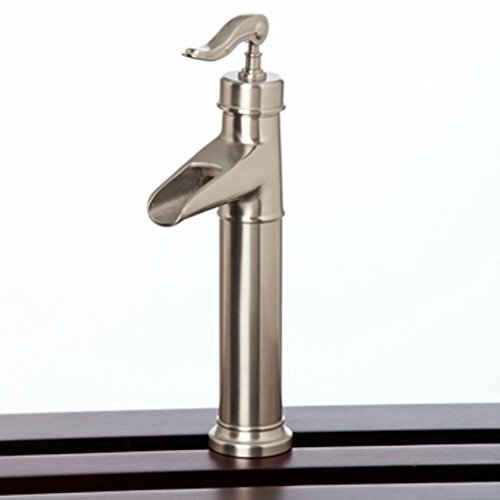 The Ambala Home faucet collection includes styles and finishes designed specifically to complement our chest design or you can supply your own faucet. Our classic fixtures come in a variety of finishes - brass, nickel, and bronze. Professional installation is recommended for all sink chest faucet fixtures. Dimensions - W: 2.5" x D: 6" x H:14"
If you have any questions about this product by Ambella Home Collections, contact us by completing and submitting the form below. If you are looking for a specif part number, please include it with your message. Obex 36X60-TB-R-GR 36" x 60" Obex Rectangle Tackboard, Graphite, 36" x 60"
Obex 18X36-TB-M-CA 18" x 36" Obex Half Moon Tackboard, Caramel, 18" x 36"